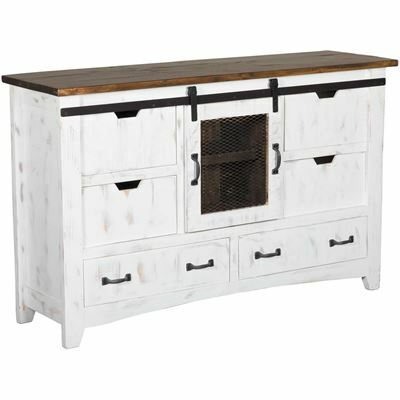 Bring home a cozy, vintage farmhouse feel with the Pueblo White Chest by IFD. 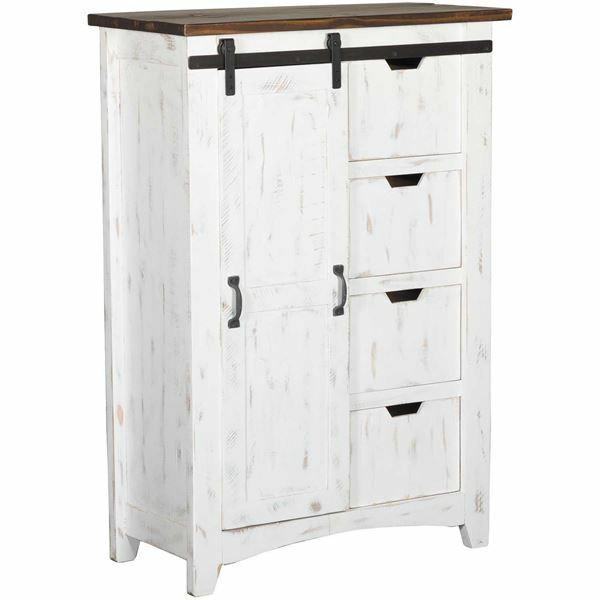 This chest has rustic style with a hand-distressed, white finish accented by a distressed brown top for a look that captures the charm of an old barn. A sliding barn door opens to reveal three shelves, while four drawers provide plenty of storage. 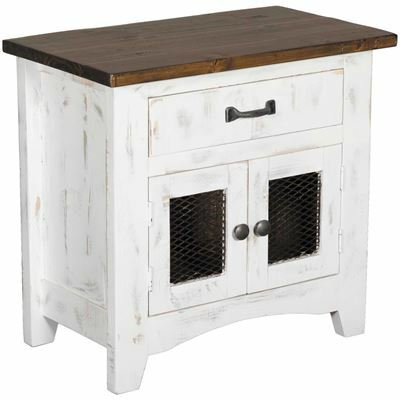 Bring home a cozy, vintage farmhouse feel with the Pueblo White Chest by IFD. 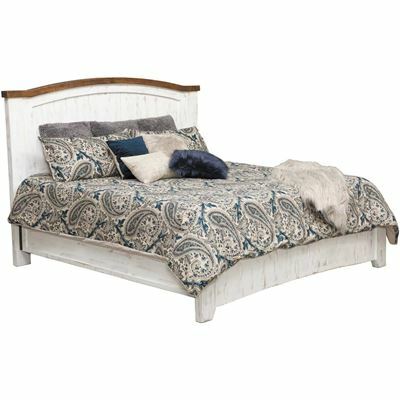 Pueblo White Chest by IFD. 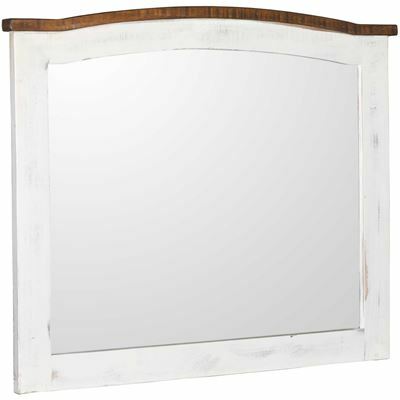 Multi-step white finish on distressed wood. 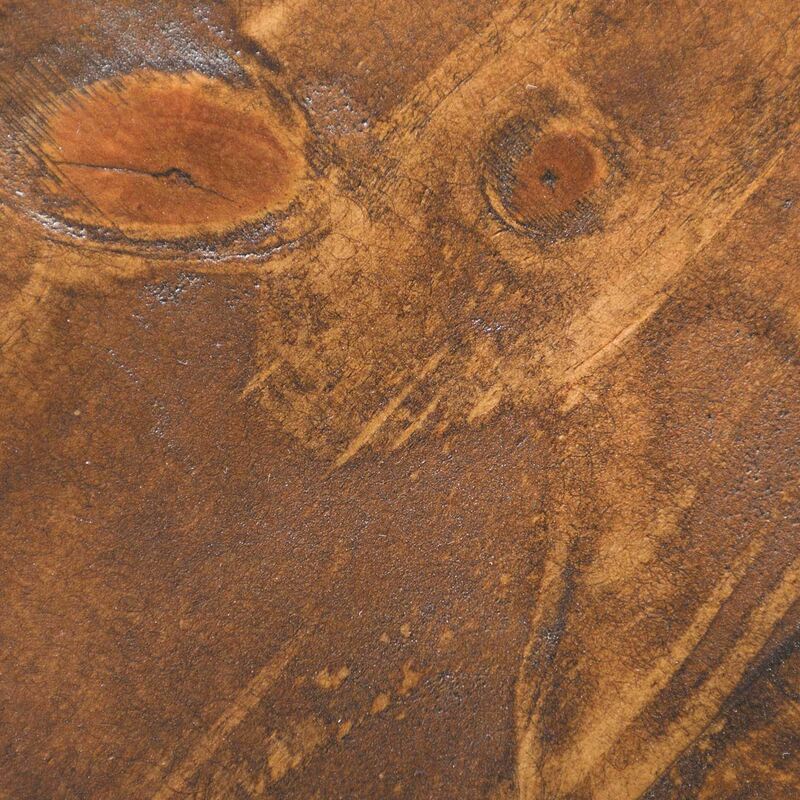 Tops feature a medium brown stain that provides depth and character to the solid pine. Mortise and tenon case construction on all pieces ensures stability and lifetime service. 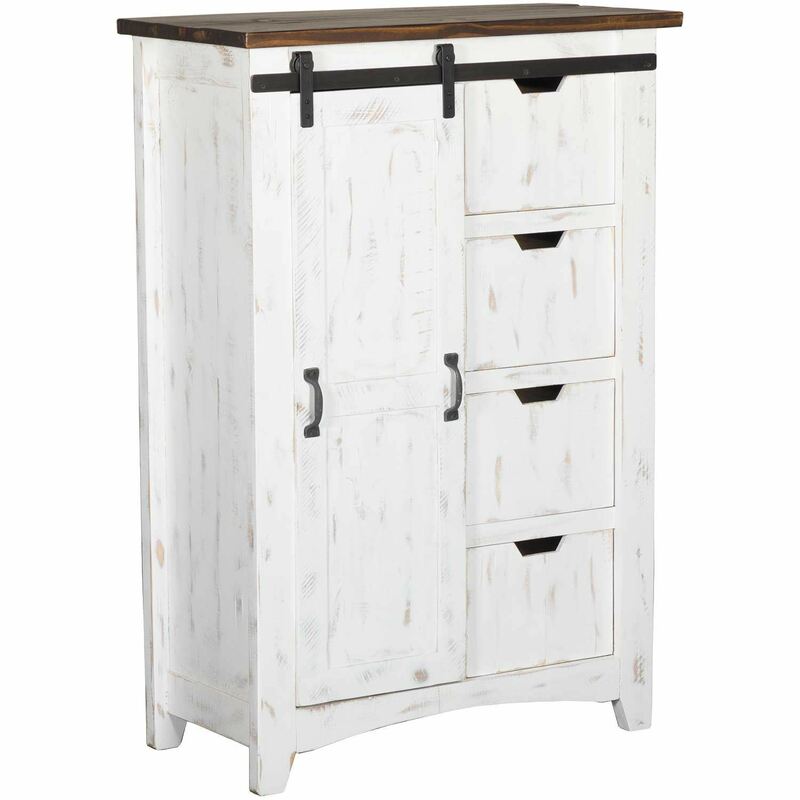 Drawers feature English dovetail construction on the front and ball bearing metal slides.